In fact, it has been estimated by the American Social Health Association that 15% of the women diagnosed with infertility have suffered tubal damage because of an STD. When STDs spread into your uterus and fallopian tubes, they cause inflammatory disease, which results in infertility or ectopic pregnancies. Furthermore, certain STDs may also lead to cervical cancer, seriously affecting fertility and compromising a woman’s health. Contrary to what you may think, STDs are very common and 20 million cases are reported each year, with the actual number considered to be much higher than this. Some STDs go unnoticed because they have what is commonly known as silent symptoms. The fact that you are unable to get pregnant may lead you to discover that you are suffering from a STD. There are numerous STDs and all affect your reproductive system in different ways: Chlamydia, syphilis, gonorrhea, or herpes may produce scarring of the fallopian tubes. Such scarring will then block the passage of egg and sperm and make you unable to conceive. It is recommended that you will be tested for Chlamydia and gonorrhea at your preconception checkup in order to make sure that you are healthy and ready to conceive. These 2 STDs can affect fertility and your ability to conceive, but others such as herpes, hepatitis B, syphilis, papilloma virus, trichomonas vaginalis or crabs will not affect your fertility, except in cases of infections and uncommon side effects of treatment. While it is not the STD itself that may lead to infertility, the spread of the inflammation resulted from the infection will. If you are younger than 24 years old, you are more prone to contracting an STD because your cervix is not fully matured yet, so it is easier for the infections to pass through. 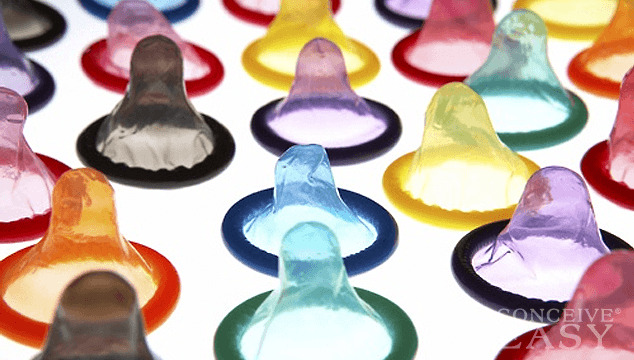 STDs become huge fertility threats when they are diagnosed late. Regular check-ups and open discussions with your sexual partner will prevent you from getting into the unfortunate situation of becoming infertile because of an STD that was left untreated. It is important that both partners are tested for STDs when they are preparing to conceive a baby; see this as a standard and highly necessary precaution rather than an embarrassing situation.